Mercy schools and education ministries were founded in fidelity to the charism, core values and tradition of Mercy. Today we find this fidelity expressed in the mission statements of our education ministries. We also encourage our schools to embrace and express the values of collaboration, compassion and service, educational excellence, concern for women and women’s issues, global (world) vision and responsibility, and spiritual growth and development (affirmed at Mercy Secondary Education Conference IX, 1990). 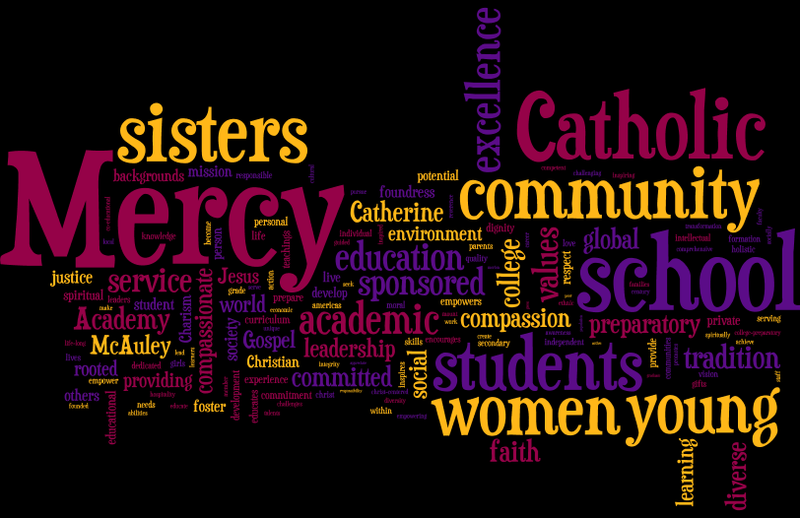 The core values of our schools echo the significant themes found in the key documents of the Sisters of Mercy below. Excerpt: The Sixth Institute Chapter has come to believe that the God of Mercy, Wisdom and Mystery is calling us, as Sisters of Mercy of the Americas, an international and intercultural community, to deepen our relationship with God and one another, and to intensify our work in communion with others who seek a more just and inclusive world. We recognize a yearning for oneness in all of creation, in all peoples and within our Institute. Our suffering world calls us to speak and act with integrity and clear intention. 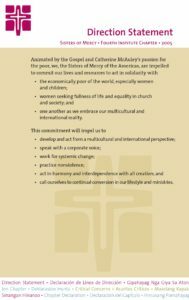 Read the full Recommitment statement. 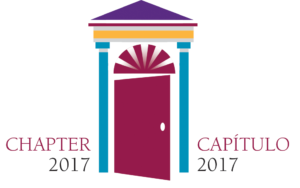 The Sixth Institute Chapter in 2017 called us to embrace anew the Critical Concerns through the lens of nonviolence. Learn more about the Critical Concerns of the Sisters of Mercy. one another as we embrace our multicultural and international reality. call ourselves to continual conversion in our lifestyle and ministries. View the 2005 Direction Statement as a PDF.